Who writes Wikipedia? Wikipedians would instantly answer "everyone"... but while this may be true in principle, in practice there is a strong self-selection effect. The status of Wikipedia as the world's foremost "intellectual authority" seems to attract people who can best be described as "intellectual authoritarians". In Wikipedia versus Forteana I pointed out that articles on Fortean subjects have a depressing tendency to get deleted, but it's not just Forteans that suffer from this... it's anyone who finds themselves in an intellectual minority. Earlier this month, IEEE Spectrum published an interesting article entitled Wikipedia's Shakespeare Problem, which posed the question "Does Wikipedia provide a viewpoint that's overly mainstream, giving short shrift to controversial, minority, or heretical ideas?" The article focused on the Shakespeare Authorship Question -- the issue of whether the plays normally attributed to William Shakespeare were actually written by someone else. This is a minority view, but one that has been around for a long time. 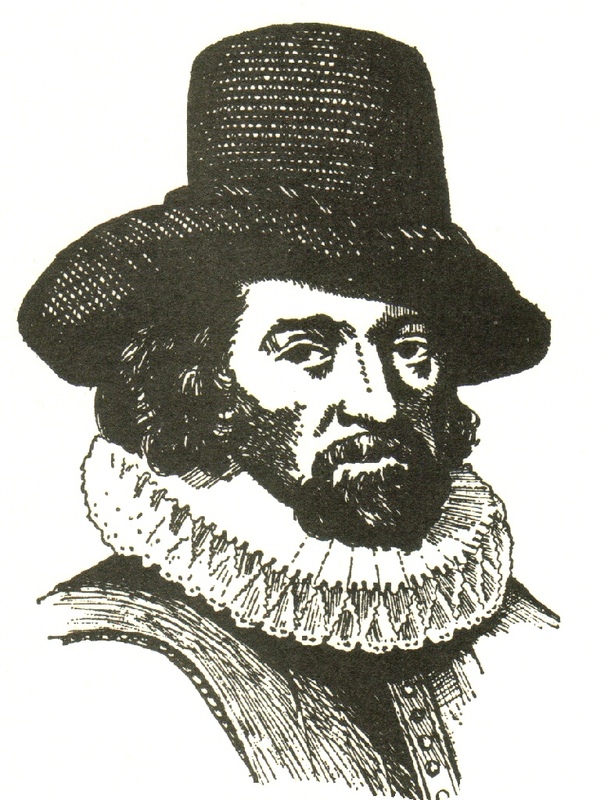 When I was a student, my college had a small but thriving "Baconian Society", which championed Sir Francis Bacon (left) as the author of the plays. As far as I could tell, the theory was due almost entirely to the fact that Bacon had studied at the college whereas Shakespeare hadn't! The basement of the college library had a couple of shelves packed with dusty Victorian volumes on the subject. The fact that Shakespeare's plays probably weren't written by Sir Francis Bacon (or by the Earl of Oxford, as discussed in the IEEE article) is neither here nor there. All that matters is the fact that the idea exists, and people have devoted their careers to it and written books about it. An idea shouldn't be suppressed simply because it's untrue... a fact that even Wikipedians seem to grasp, since they're perfectly happy to have an article on Klingons (complete with derivation of the word from the Klingon language)! Actually, the thing that Wikipedians hold most sacred isn't "Truth" but, quite bizarrely, "Notability". In one of the deletion discussions I looked at, an article (on some Fortean topic or other -- I can't remember which) had been proposed for deletion by a Wikipedia administrator on the grounds that its only purpose was to push a particular POV (Point of View). When one of the contributors objected that the article was well-balanced, with no obvious bias to any particular POV, the administrator replied to the effect that "you're pushing the Fortean POV that unusual subjects are notable simply because they're unusual". So that's what we've been doing wrong all these years! Returning to the Wikipedia Authorship Question: Who writes Wikipedia? This is a difficult question to answer due to the prevalent use among Wikipedians of anonymizing "handles" instead of real names. It's also hard to tell on the basis of internal evidence. For example, the Wikipedia article on "Earth" appears to have been written by someone familiar with the planet Earth, but not necessarily native to it. Similarly, the article on "Human" appears to be written by (and for) organisms that may or may not be members of that particular species. Wikipedians are not afraid to take "neutral POV" to the most ludicrous extremes. Wikipedia does provide a few demographic statistics... which are, frankly, quite horrifying. No less than 87 percent of contributors are male, while only 13 percent are female. That's shocking in itself. On top of that, 26 percent of contributors are undergraduate students, while "about a quarter" are under 18 years old. In other words, just over half of the people who are telling the world what to think, on every subject under the Sun, are too young to have done any kind of real job! I can testify that if there were ever a Politburo operating in the free world, it is the group of editors fencing the topic of Shakespeare's identity from any but the most ideologically doctrinal conclusions. Their circular reasoning by which to accomplish this is to hijack the Wikipedia guideline that says only accepted academic sources may be referenced and expressed. And I don't mean that other facts and sources are rejected, they are rejected with the threats, intimidation, and vituperation usually suitable for heretics, perverts, traitors, and convicted criminals. Of course the important point of an inquiry into historical error is that those who adopted the error are not the best judges of whether it was an error. And in truth, I have read enormously persuasive history, political data, and literary textual analysis that points directly to the one person the Wikipedia Mafia wants to go away and never come back, Edward de Vere, 17th Earl of Oxford. Just my personal experience after being thrown off the topic page, along with some of the best scholars I have read.